In an effort to help Massachusetts museums and libraries sustain their new community relationships and innovative early childhood programming, we have created a framework for four focus areas (STEM, Brain Building in Progress, kindergarten readiness, and literacy) and have provided activities for a full year of programming that can be adapted by any museum or library. 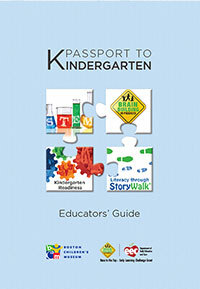 The Passport to Kindergarten Kit contains an educators’ guide and a sample “passport” for children and families to use to document their participation. 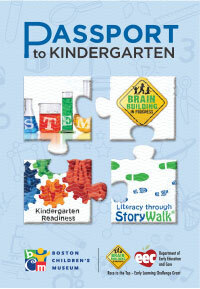 In addition, you will find many parent tips sheets in multiple languages that can be used thematically with your Passport to Kindergarten programming.